Share This Poem: “Goshen Pass: Devil’s Kitchen,” by J. Ross Peters. BROAD STREET invites to you to a long-ago swimming hole, before a terrible accident and a devastating flood, during an era when girls still drank Tab. 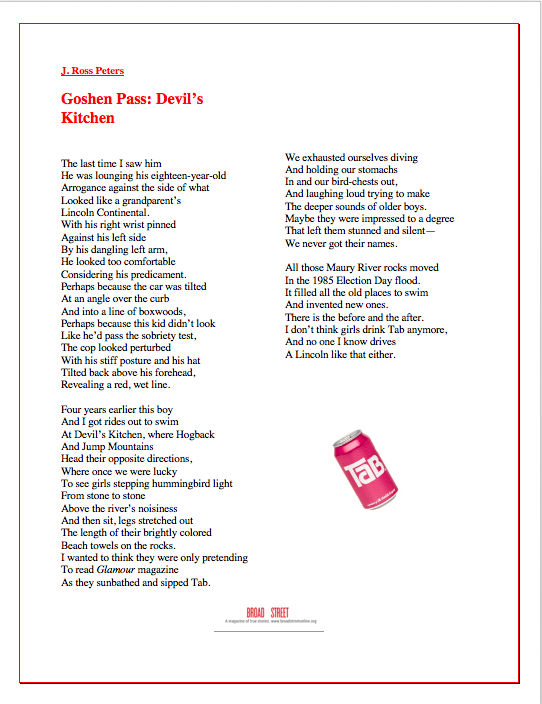 To enjoy “Goshen Pass” as a broadside, click and drag to your desktop. Or scroll down to read the poem in plain text. Revealing a red, wet line. Beach towels on the rocks. As they sunbathed and sipped Tab. The deeper sounds of older boys. We never got their names. In the 1985 Election Day flood. There is the before and the after. A Lincoln like that either. 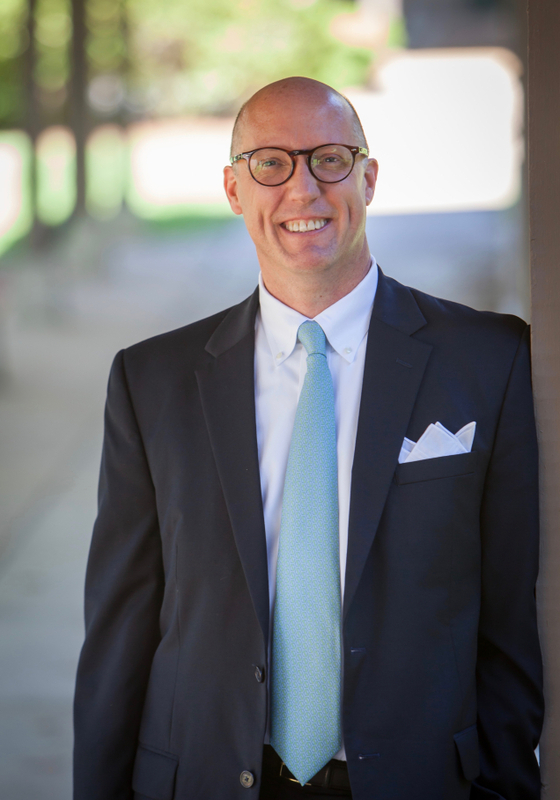 J. Ross Peters’s poems have appeared in Terminus and The Birmingham Poetry Review. Other work is forthcoming in Aethlon and Broad River Review (Honorable Mention for the Rash Prize). He is collecting poems for a book to be entitled The Flood is Not the River. Additionally, he contributed the forward and the photography for Sacred Views of St. Francis: The Sacro Monte di Orta (forthcoming from Punctum Press in 2019), about a Franciscan pilgrimage site in Italy’s Piedmont region. Previous post“A Special Spirit”: Angeles Gonzalez reproduces Charles Rennie Mackintosh’s work in miniature. Next postShare This Poem: "Litany of Missing Earrings," by Amy Sailer.